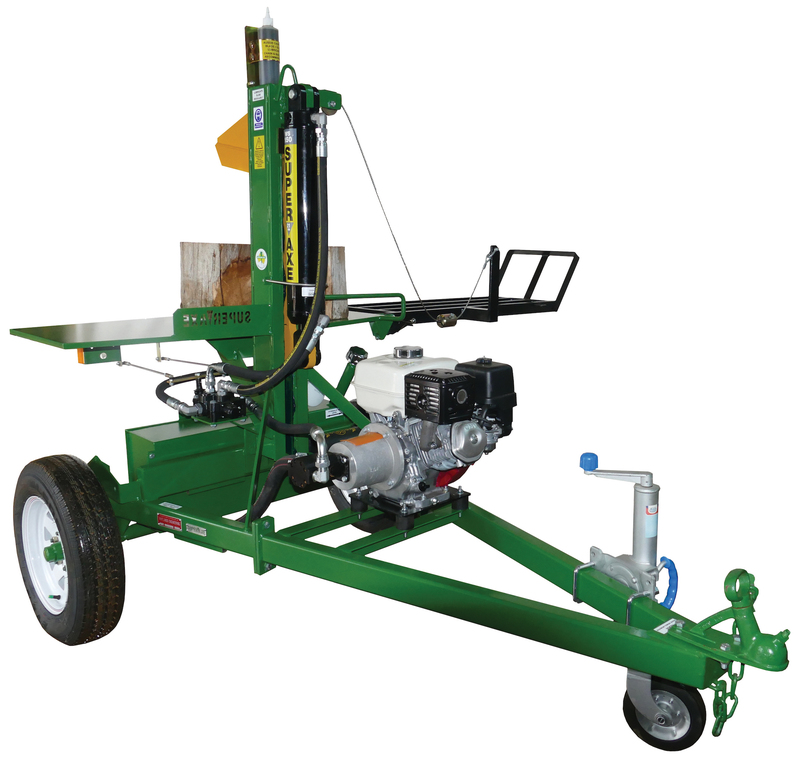 The midsize WS150 is suited to domestic, farm, hire or semi commercial operations. 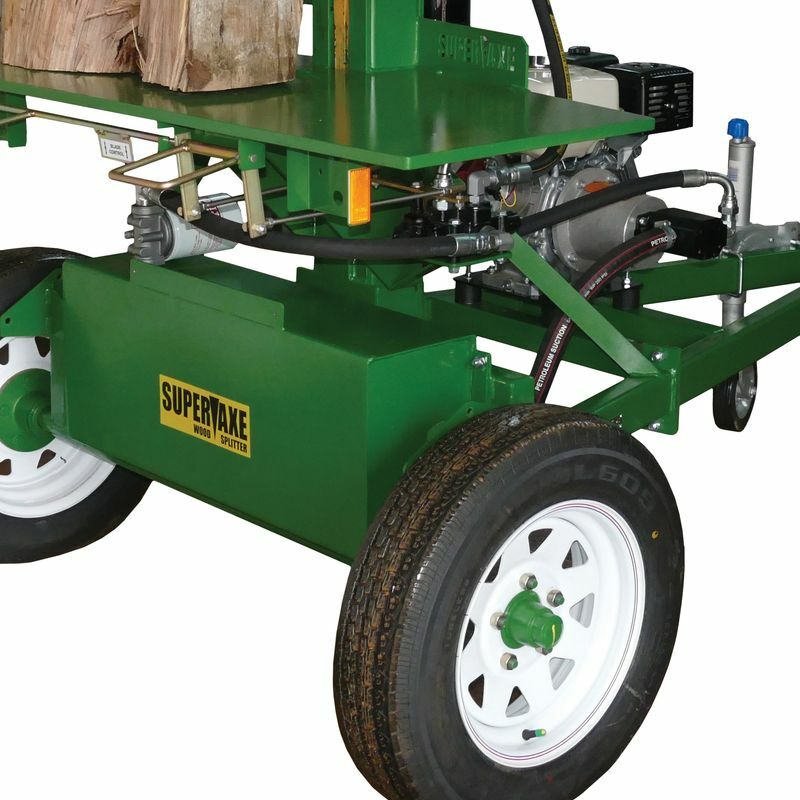 The WS150 features robust construction, a larger work bench and a 150kg capacity cable operated log lifter. The innovative double handed control system ensures ease of use, quick cycle times & unmatched safety. A 9hp engine is fitted as standard, but a 6hp engine is also available. 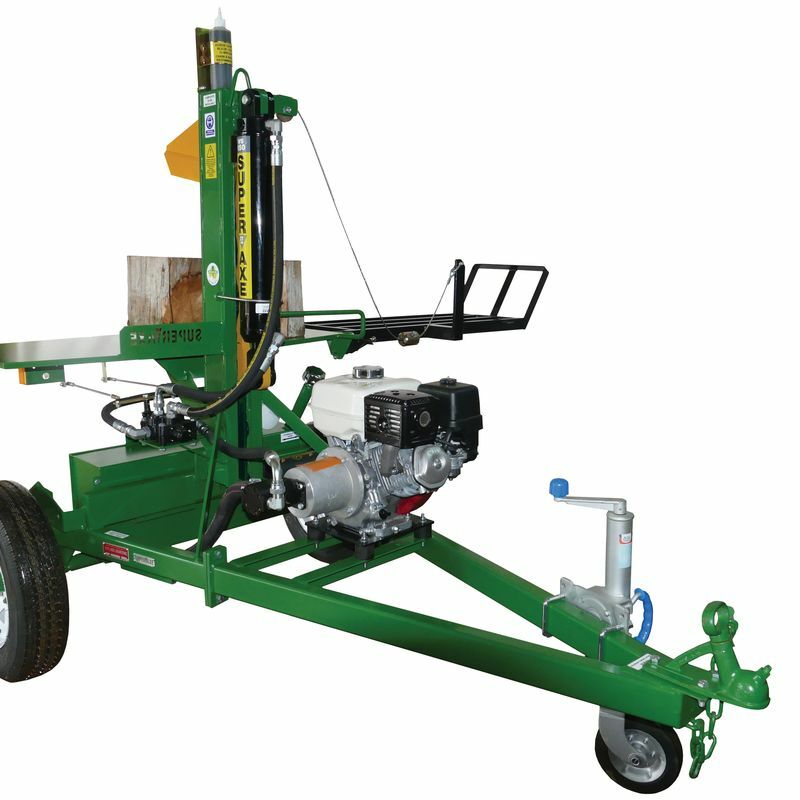 The 9hp engine delivers a whopping 21 tons of splitting power and a 8 second cycle time. WHEELS AND HUBS: 155 x 13 Sunraysia wheels and high speed hubs. Handles all towing requirements. 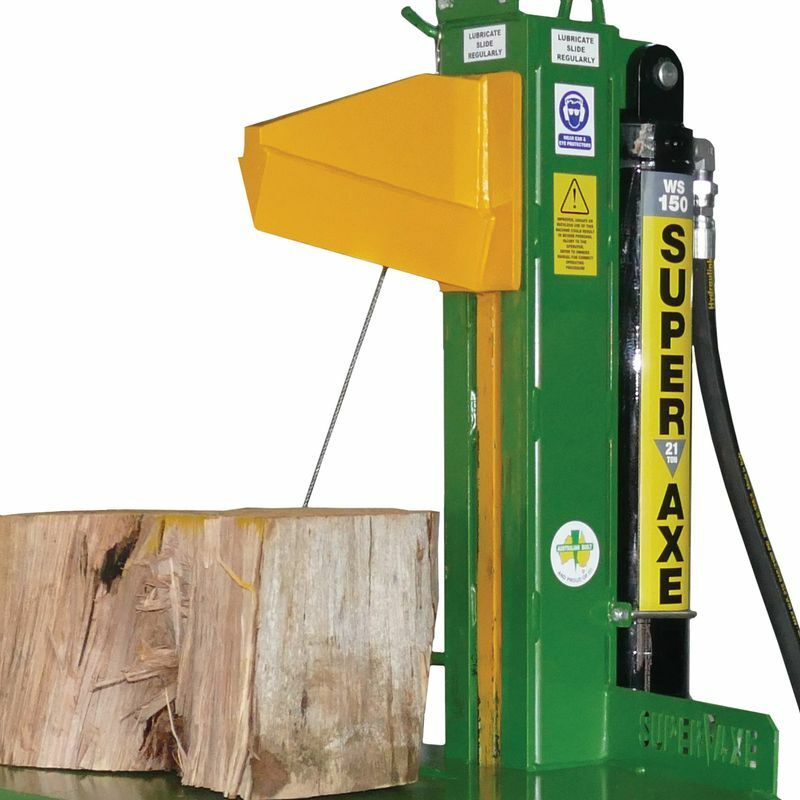 BLOCK LIFTER: Heavy duty cable & pulley system will lift 150kg blocks up to bench height. TOWING: Block lifter is easily folded and secured for traveling. PATENTED SPLITTING SYSTEM: Vertical sliding blade design gives superior splitting performance and long life with minimal maintenance. 300mm cutting edge. with minimal bending or straining. EASE OF USE: Easy splitting with ample room on table to work blocks. Never lift another block again. SAFETY COMMUNICATION: Weatherproof canister on every machine contains an operator instruction & safety training sheet for quick reference. All machines also come with a detailed operator manual which includes operator training, maintenance recommendations & risk assessment. HIRE & RENTAL / REGISTRATION KIT: Includes HD mudguards, LED lights, VIN plate for registration compliance. Fleet colours available. 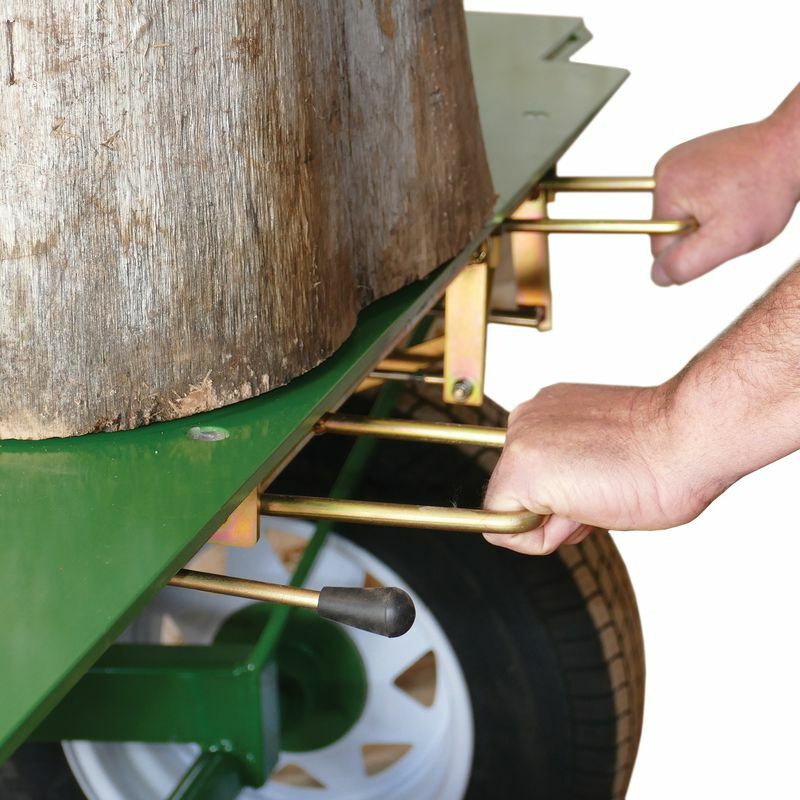 RAM OPTION: 3 1/2 inch ram for faster cycle times (15 ton splitting force) ideal for softer hardwoods. OTHER OPTIONAL EXTRAS: Remote powered units, engine cover, electric start, hour meter etc. READY TO ORDER? Please contact us to order a machine. Your machine will be built to order. We require payment before the machine is collected or freighted. FREIGHT: Through a network of freight depots Whitlands Engineering can organise economical freight to most places (pickup from your local depot may be required). We will advise & quote to your requirements when the order is confirmed. For freighting, all machines are partially dismantled & packed securely on a pallet so they can be handled with a forklift. Reassembly of machine requires some lifting equipment and basic tools. We can advise on this in detail at the time of order.